Did you know dark berries can help your memory? Or that walnuts are good for your heart? If you want to feel better, maybe sleep better or get a hold on your fat intake, then Super Foods for Mind, Body and Wellbeing is a great way to start. Packed with 100 healthy foods it will get you looking and feeling better both inside and out. From avocados to zucchini, we’ll tell you all about these power foods and what they can do for you. 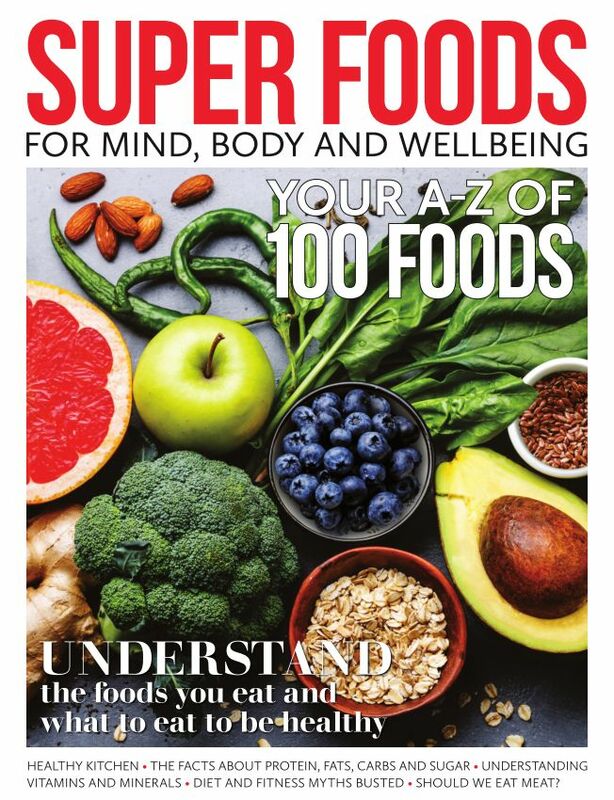 To help you stay on track we have also included articles about protein, carbohydrates, fats and sugar so you’ll have every tool you need to get yourself off to a good start in the New Year. Make 2019 the year you become healthier!